Very little is known about the early Rat Patrol. 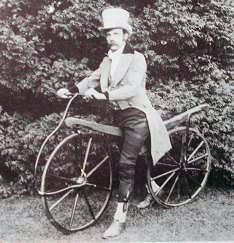 Generally acknowledged as the early center of the cycling industry, the West Midlands of Britain provided the source of both the Rat Patrol UK and their colonial shootoff in Chicago - a city that, as the epicenter of the American cycling industry, provided fruitful soil for the genesis of such a movement. Originally called Adolf's Rat Brigade, the name was hastily changed at the onset of the Second World War. This is the earliest known photo of a Rat Brigade Member. Current member Johnny Payphone submitted this 1820s picture of his great-great-great grandfather Fletcher "Jaunty" Payphone. Family legend, however, indicates that Jaunty Payphone was not the group's founder. 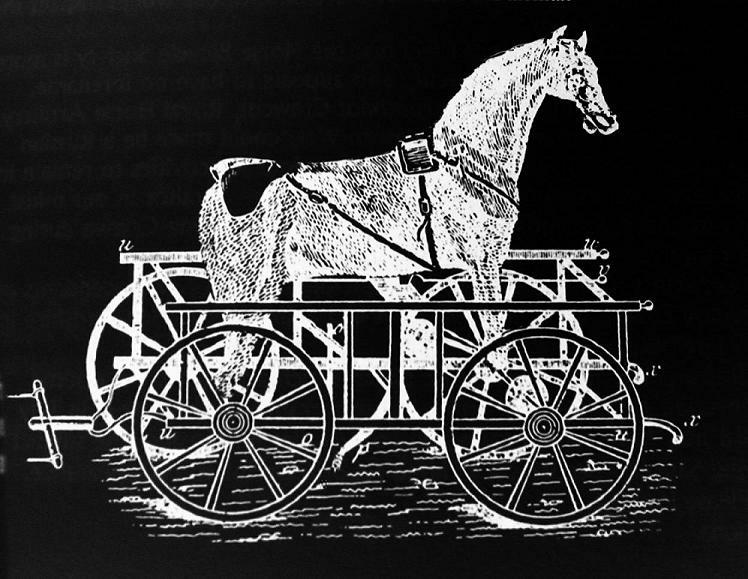 Early 'hobbled horses' were attempts at modifying the horse to gain the benefits of wheeled transports. Originally this was done by chopping the legs off of horses and replacing them with two wagon wheels. Later it was discovered to be much easier to then replace the horse's body and head with a piece of wood and handlebars. 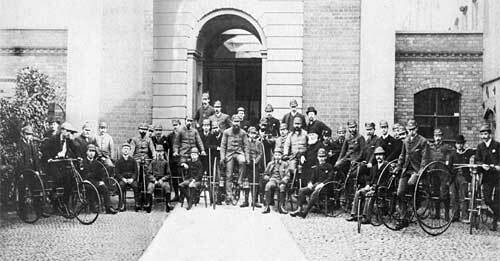 By 1887, both the number of designs and the membership of the Brigade had exploded. In this photo you can see everything from tricycles to pennyfarthings to safeties and some sort of wheelchair bike. 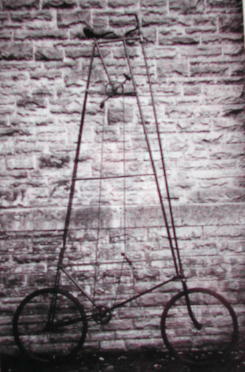 The rightmost tricycle has a long chopper fork and a wheel pointed towards the camera. 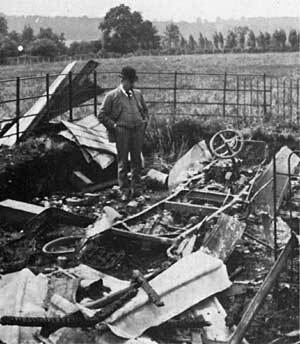 This picture was taken during the Sack of Worcester. By this time, Bennito Chunkolini had seized control of the Brigade. You can see him at center. Another new member who was to found a Rat dynasty was Albert "The Bosom Companion" Schorsch I. 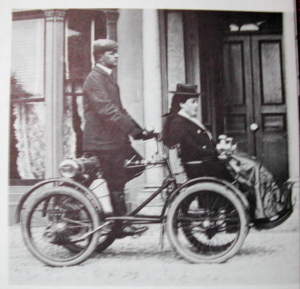 Here he displays his racheted handcycle. The back of the photo describes it as 'a rather cumbersome invention'. Mysterious character known only as Barnabas Newfeld. 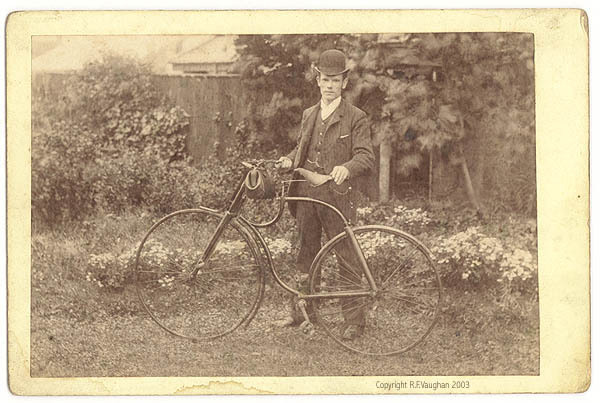 This recently unearthed photo shows another early member, Mikhail Burton, with his unusual and stylish frame. 1897 was a pivotal year for the Rat Brigade, and is largely considered to be the year in which the American Branch split off following an argument that galvanized the whole brigade into two camps. During one of the group's weekly rodent-fights, a heavily-bet-upon squirrel had lost to a rabbit, provoking claims of disqualification based on the rabbit's taxonomy. The sulking losers packed up and moved to America, where cycling was beginning to take off in the newly-flattened Chicago. At the head of the American branch were two fast friends, Atticus "Norvegicus Ratticus" Bergstrom and Nathaniel Tolzmann. 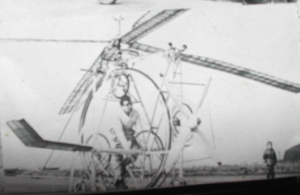 Here they can be seen on their Eiffel Tandem. 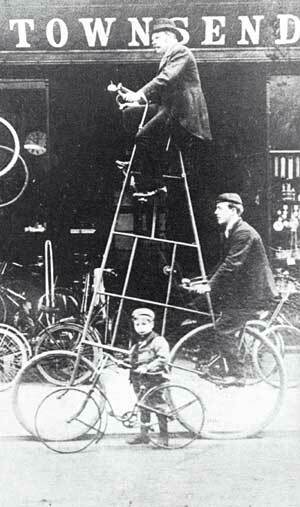 Upon establishing the Chicago Chapter, however, they were quickly outdone by a taller bike. 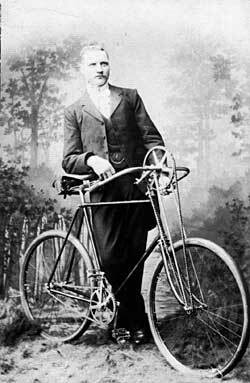 It should be noted that, when it comes to tallbikes, considerable height was required to be considered tall. 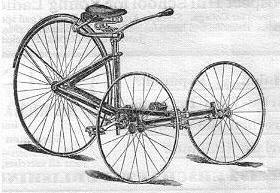 After all, the pennyfarthing was an 'ordinary' and the shortbike was a 'dwarf safety'. 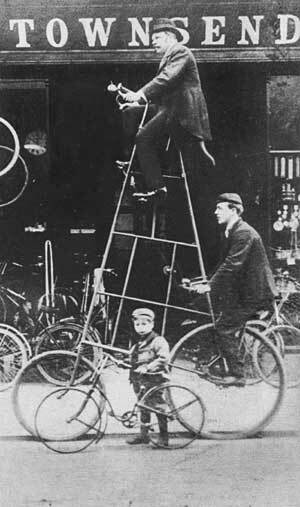 It wasn't until pennyfarthings began to be banned that the modern tallbike aka 'lamplighter' was invented to light the gas lamps. Therefore this bike would have been considered only slightly taller than normal. Jaunty's grandson, Fawlty Payphone, displays 'rational dress'. 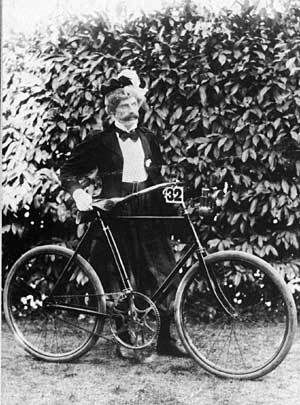 Rational dress was a revolutionary mode of women's attire, driven by the bicycle's demands, that played a significant role in the eventual franchisement of women. On women it was considered a radical act of liberation. On men it was just considered weird. Fawlty Payphone, for some reason, had no descendants. He did have a fast bike, though, perhaps in order to escape persecution. 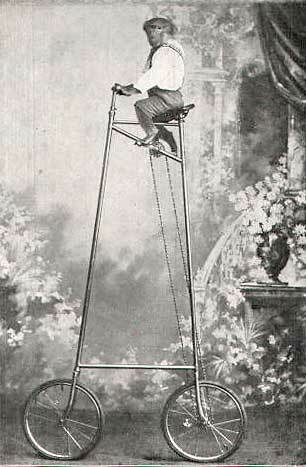 Unfortunately, many women didn't take to bloomers so quickly, and left the cycling in the hands of men. In retrospect perhaps they had the better end of the deal. Here a man named Jeshua Deth carts around his pregnant wife. 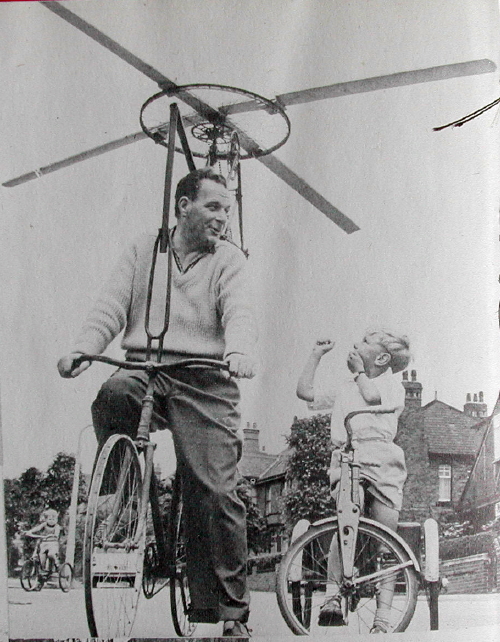 This is the earliest known prototype of the now-dominant chopper. 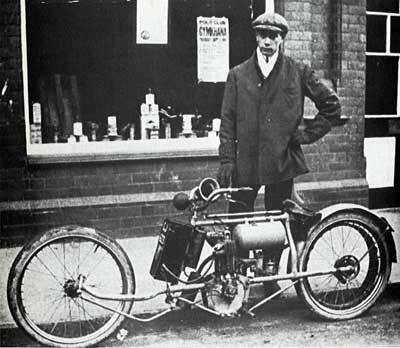 Its inventor was a Taiwanese immigrant who made a living by cutting firewood, and was thus known as "Chopper William". 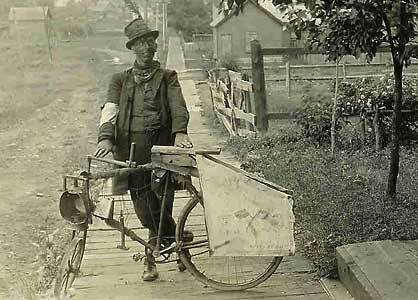 Long-fork bicycles began to be known as Chopper Williams and were eventually just shortened to 'Choppers'. Contrary to appearances, that is not a motor, but an elaborate distilling device for an alcoholic substance originally known as Rat Petrol but now colloquially called Uncle Grandpa's Secret Juice. A Rat Brigade member scavenges for spare parts at the local dump. This is an extremely rare photograph because, in the early days of photography, each print involved expensive glass plates which usually weren't carted out to the dump to take pictures of garbage. 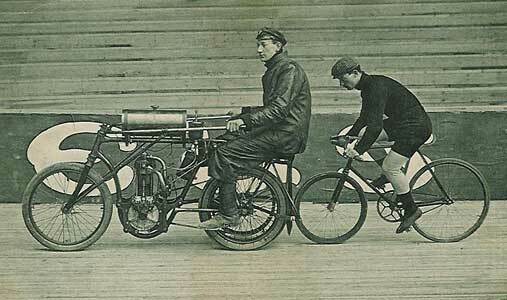 Theodore Allen on his steamcycle, with Jebediah Newfeld sneaking behind him in the Toure Du Chicago. It is worth noting that the Rat Brigade did not discriminate on the basis of species. Here are two more designs, the Miasmic Homunculus dating from 1888 and another Eiffel Tower from 1899. Note that the monkey's bike, the two eiffel tandems, and this tallbike all have different frame designs- indicating a diverse range of building styles. At this point there's a large gap in our knowledge of the Rat Brigade. Apparently, as the safety was decided to be the 'best' bicycle design, large-scale cultural disapproval forced the group into hiding. Additionally a world war and a depression severely limited the amount of trash discarded by the citizenry. You can read the transcript of a speech given by member Helmut Groendenberger in 1928. If the World War sent the Rat Brigade into hiding, then the Cold War brought it out again. The newly-named Rat Chums were eager to lend their skills to the space race. However, due to discrimination against their choice of building materials and the car-craziness of the 1950s, the Chums were largely ignored. Here you can see two of the most prominent Rats of the era, Horst Edel (left, with young John Sr.) and Aloysius Wilson (above).